This article reviews the overall aspects of histamine, one of the most potent biogenic amine, which is formed by decarboxylation of histidine protein rich foods in fish and fish products, dairy products, meat and meat products, fermented vegetables and soy products, and alcoholic beverages such as wine and beer. Normally, three basic conditions i.e. high content of free histidine, bacterial histidine decarboxylase activity and high temperature storage environment elevates the level of histamine in foods. Several chromatographic methods utilizing thin layer chromatography (TLC), high performance liquid chromatography (HPLC), gas chromatography (GC) and colorimetry, fluorimetry and ELISA technique have been developed for the analysis of biogenic amine including histamine. Histamine usually exceeding 1000 mg/kg has been implicated with scombrotoxicosis. Several government authorities including Codex Alimentarious Commission has also set the level of histamine in different food products varying from 5 to 40 mg/100g. Proper technical regulations and surveillance mechanism as well as hygienic and bio-technological advancement in food manufacturing establishment could be the good preventive measures of low histamine foods in future. 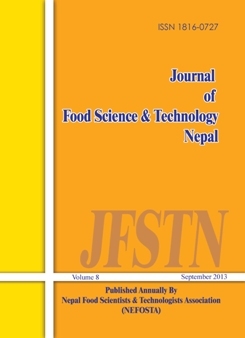 Copyright of the article will be transferred to the editorial board of the 'Journal of Food Science and Technology Nepal (JFSTN)' upon acceptance of the article.